Its always nice to have a customer come back to you. 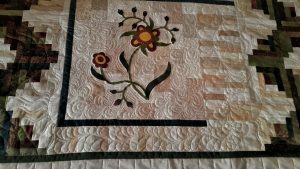 My customer Valerie Monaghan is a fantastic quilter. 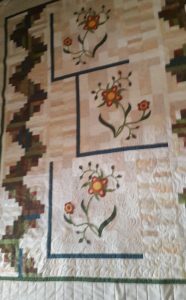 She also does gorgeous applique which I one day hope to be able to do well. 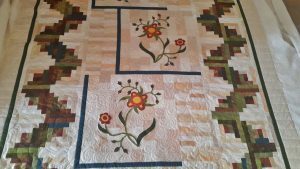 Valerie always uses the best quilting cottons you can get and this is also responsible for a nice finish. 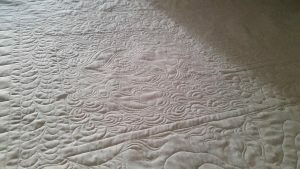 This quilt was one of the very first quilts I was able to fully baste at the end without fullness, and belive me wavey borders are more frequent than non wavy borders and I’m guilty with my own pieced quilts to wavey borders so it’s certainly not an easy thing to avoid doing. 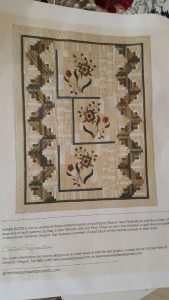 The pattern for this quilt is called Cabin Fever by Karen Bates for Primitive Quilts Magazine. 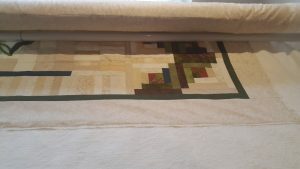 I was asked to do a simpler border design, so I chose piano keys which works really well too. 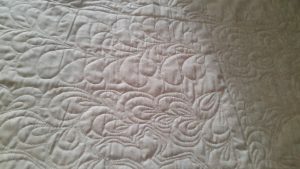 Having a visual of the desired quilting really gave me a solid focus which enabled me to go for it and get stuck in.